Instead of planting cherry tomatoes, I opted for grape tomatoes in my garden this year. The oblong, bite-sized fruits are sweet, and the plants are exceptionally prolific. A good choice for limited space, or a container garden. Pictured: halved and tossed with chevre, black pepper, slivered basil, and a tiny bit of balsamic vinegar. Also great pressed into focaccia dough, atop pizzas, or eaten directly off the plant. Will you please come and garden in my backyard? Those are my favorite type of tomatoes. 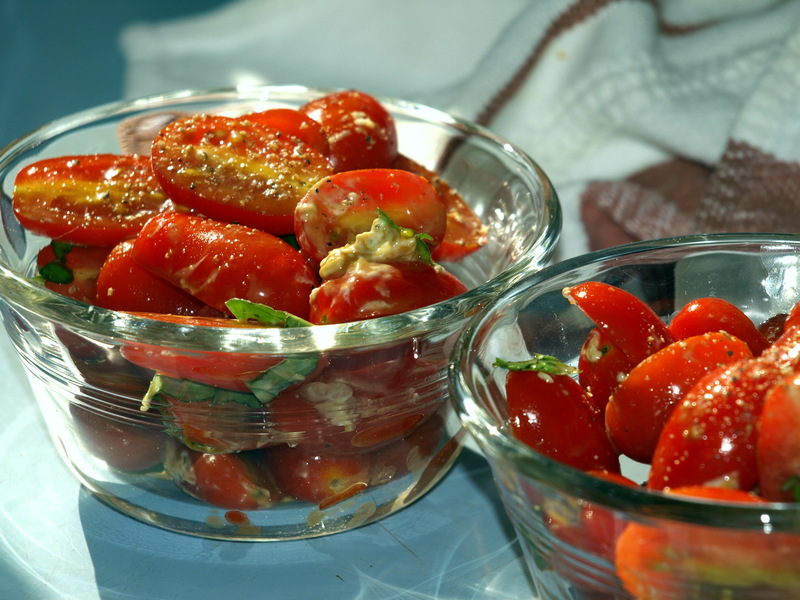 Great salad or pasta tomato.